Nearly all dive operators are based along the north coast at hotels. They must be licensed by the Jamaica Tourist Board and most are members of the Jamaica Association of Dive Operators (JADO). They offer introductory and certification courses at all levels. Dive packages are available with the hotels where they are located. Contact the tourist board for a full list of operators and map of dive sites. Diving can be included in a hotel package, but if you are doing it independently, a two-tank dive costs on average US$65. 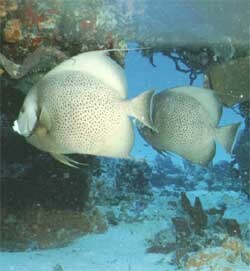 Dives are limited to 100 ft. There are hyperbaric chambers at Discovery Bay and Port Royal.